In all honesty, Anita Sant’Anna had her eyes set on being a medical doctor. However, after some time contemplating, she decided to study electrical engineering. Today she has managed to combine both her interests. Her research on health technology is about improving patients’ health, in close collaboration with companies, hospitals and patients. Anita Sant’Anna, Assistant Professor at the School of Information Technology at Halmstad University. 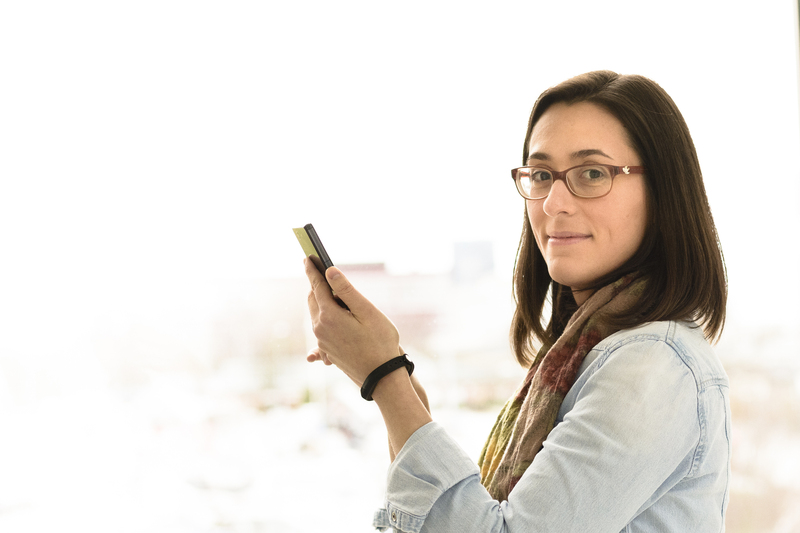 In her research, Anita Sant’Anna makes use of sensors, such as mobile phones and activity trackers, to collect or record patient health data. This can help doctors to get a clearer picture of how a patient feels or what the patient´s everyday life looks like. This can give forehand knowledge to help avoid an emergency situation developing. Furthermore, it gives the patient the opportunity to better healthcare through more careful monitoring and, therefore, better knowledge of his/her condition. The basis of Anita Sant’Anna’s research is about, together with several collaboration partners, improving the nursing and health of people. This is what drives her to continue to research, because it really does make a difference. However, the choice of becoming a researcher was not so clear-cut in the beginning for Anita Sant’Anna. She comes from a family where most work as engineers, and in fact, she chose to become an engineer herself, but with a focus on biomedicine. At the same time, she wanted to do something different. With an interest in both study and travel, she combined her studies with discovering new places. Finally, she ended up at Halmstad University, following a tip from a friend concerning a doctoral position that suited her perfectly: a combination of technology and health. According to Anita Sant’Anna, one of the main challenges in health technology research is the huge amount of data collected. 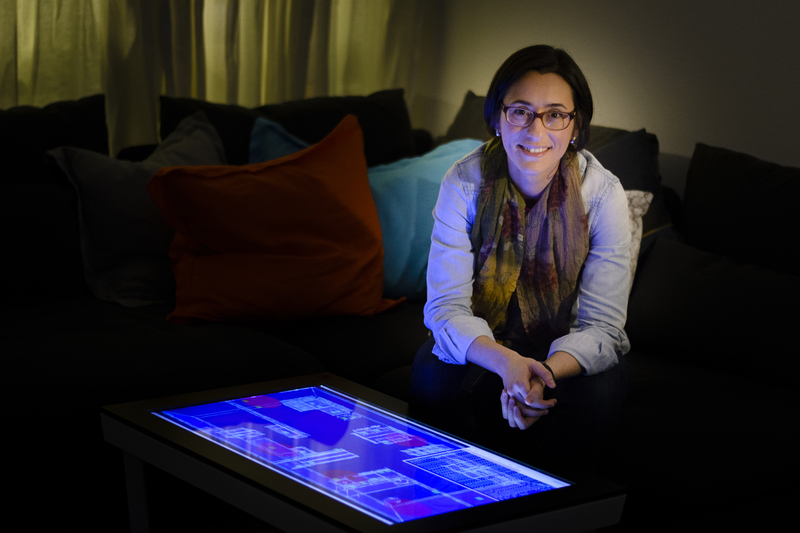 During her doctoral studies, Anita Sant’Anna researched on how to monitor motion patterns by using sensors. She studied how patients walked with the help of sensors that were attached to the patients´ legs. By comparing how much deviation in the patient’s gait (style of walking) had to a healthy person´s way of walking, people working within the health care system could get a clearer picture of a patient’s illness or rehabilitation after, for example, an operation. Anita Sant’Anna has not only researched patients who have had hip replacements but she has also used sensors in research concerning people who suffer from Parkinson’s disease. “Doctors do examine how well the patient walks, but often by using a rather “crude” basic scale. By studying how the patient walks with help of sensors, you get more knowledge that you may not be able to see by the naked eye alone. This can help create a clearer picture of the patient’s condition,” says Anita. The more we work together with industry, companies and institutions, the better we will be able to solve the problems found in the health service. Anita Sant’Anna is still at Halmstad University. Her research is still about health technology. She is now researching how, with the help of technology, to help people suffering with osteoarthritis make healthier choices in their everyday lives. In her research, she uses the Fitbit activity tracker. “The challenge is how the patient will get suggestions for better choices in their everyday life through their activity tracker, in both a positive and motivating way. The goal is that it will happen at the right time, for example, proposing a ten-minute longer walk when the patient is already out walking,” she says. One of the main challenges in health technology research is the huge amount of data that is collected or which is possible to collect. “It offers incredible opportunities. Nevertheless, at the same time, it is part of the challenge, because we need to find out what information we need, and then how to sort it out and be able to use it in the correct way,” say Anita. Anita Sant’Anna wants to continue researching, in collaboration with both industry and other institutions. She believes it is important that research is not only undertaken in the lab but also with different collaborators; i.e. working together with patients in the hospital and also with contacts with industry, so that they can see the potential of new products. “The more we work together with industry, companies and institutions, the better we will be to solve healthcare problems. On October 17th and 18th Örebro University hosted a lunch-to-lunch workshop with focus on scenario Autonomous systems in industrial environments. All partners of the distributed research environment participated as well as participants from industrial partner companies. Day one, the 17th of October, started with Professor Achim Lilienthal, coordinator of the AIR project at Örebro University, presenting AIR. Thereafter, researchers Martin Magnusson, Erik Schaffernicht and Henrik Andreasson (ORU) gave presentations on how the AIR project has helped develop research within other Örebro University research projects. After the presentations, Alex Liebert from Usify, lead a workshop including different exercises aiming at reaching and discussing new research ideas in cooperation with the participants from AIR and the industrial partner companies. During day two, the 18th of October, the focus was the new research ideas reached during day one and the future of AIR. With the support of Lovisa Svensson and Emyr Williams, representatives from Örebro University’s Grants Office, the distributed research environment discussed what is going on in the research fields, how to continue the collaboration and applying for different funding opportunities and which partner companies could have an interest in future research projects. Next stop during the AIR-consortia on tour was Halmstad University, on September 25th. Same topics as on the Örebro stop, the focus of the meeting was to discuss the collaboration of work packages. AIR-consortia discussing challenges in Halmstad. The team discussed how to address joint challenges, both overall and within the different work packages, focusing on evaluation aspects of the interaction quality between humans and autonomous systems from a human-centred perspective. September 21 every year is World Alzheimer’s Day. Alzheimer’s is the most common cause of dementia among older adults. Dementia is the loss of cognitive functioning – thinking, remembering, and reasoning – and behavioral abilities to such an extent that it interferes with a person’s daily life and activities. 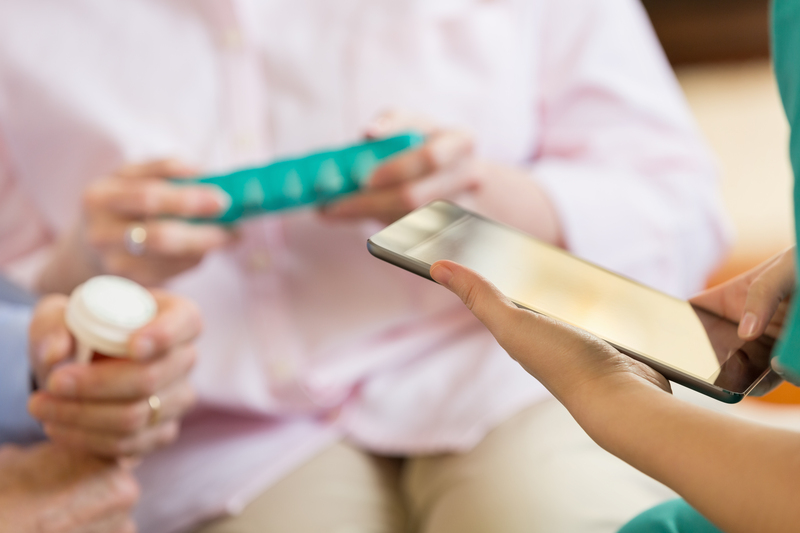 Halmstad University is part of a European initiative called Remind which develops technical solutions that can help patients with dementia and their relatives in everyday life. What is the goal for Remind? How can this help a patient with Alzheimer’s? Martin Cooney, social robotics researcher at Halmstad University. Usman Akhtar from Kyung Hee University, Korea, intends to at Halmstad University investigate a fog architecture for transfer learning related to activity recognition in smart homes. The goal is a better ability to monitor, share data, and provide timely reminders for patients with dementia. Linda Ong from I+ srl, and Giovanni Nicoli from Associazione Novilunio, Italy, are interested in solutions involving robotic technology. For example, Linda has at Halmstad University started to incorporate sentiment analysis with a medical model of dementia into an interaction with a robot, which can provide appropriate and engaging reminders. Dr. Jane Walsh, Director of the mHealth Research Group at National University of Ireland, Galway, and Dr. Riitta Hellman, Chairman Of The Board at Karde AS, Norway, work with users, in terms of behaviour change and tools for users with cognitive disabilities, respectively. Dr. Miguel Angel Ortiz Barrios, coming to Halmstad University from Universidad de la Costa (CUC) in Colombia, works with data analytics (specifically statistical methods) and multi-criteria decision making. 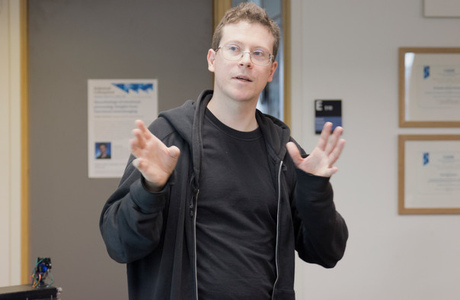 Dr. Martin Cooney from Halmstad University has been working with thermal cameras as a way to infer medicine intake, and designs for socially assistive therapy robots, aimed to help meet a need for care which cannot currently be met due to lack of human healthcare workers. When will we be able to teach robots to see like humans do? That means, to really interpret the surroundings and then make rational decisions. Today, research has not got that far. But Joseph Bigun, Professor of Signal Analysis, wants to be involved in the development of the first visually intelligent machine. Perhaps vision is a human’s most important sense. We can manage without it, but it’s with our eyes most of us see and interpret the world. 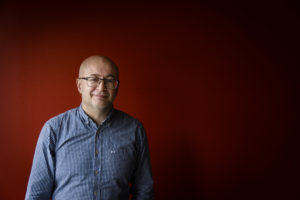 Josef Bigun is a Professor of Signal Analysis and Intelligent Systems. His research is about biometrics, that is technical means for computers to identify and collect information about us and our characteristics. It could be eye scanning, DNA, fingerprints or recognising a walking style. This involves teaching computers visual intelligence, and eventually teaching a robot to recognise images or patterns. Everything can be used for good or bad purposes. But I think intelligent systems really will be able to help us in the future. I think it’s legitimate to be skeptical, that is why we should have better technology, make laws about using personal data and have good education about computers and artificial intelligence. Josef Bigun is a Professor of Signal Analysis and Intelligent Systems. His research is about biometrics, that is technical means for computers to identify and collect information about us and our characteristics. Human vision is still largely superior to that of robots, but to succeed in making a robot copy the way we see the world is what fascinates and motivates Josef Bigun. “It’s a big challenge to teach a robot to do what we’ve learnt since we were children,” he says. It was a bit of coincidence that Joseph Bigun ended up at Halmstad University. After graduating with a MSc in Engineering at Linköping University, he continued with a PhD in Computer Science at the same university. 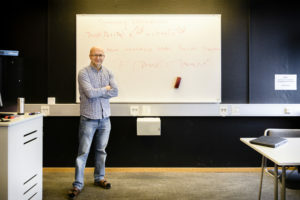 After ten years as a researcher at the Swiss Federal Institute of Technology, he returned to Sweden and received a position at Halmstad University, which has become one of the premier institutions in Sweden for research in visual intelligence and in particular, biometric identification. The collaboration within the CAISR (Center for Applied Intelligent Systems Research) research group is important. The researchers discuss results and share ideas, and collaborate with many international colleagues. In 2016, CAISR organised the International Conference on Biometrics, with over 200 participants from around the world. It is one of the oldest and most respected conference regarding current research in biometric identification. The research field in artificial intelligence is very active. It has also attracted much attention in media in recent years. While challenging, it’s primarily a lot of fun, Josef Bigun thinks. Josef Bigun’s goal as a researcher is clear. He would like to leave a better world, he says, and as a researcher he wants to contribute to continually improving both the environment and our lives. We are constantly building on our knowledge – it’s like an artist who keeps working on a piece of art. According th Josef Bigun, the best thing about working as a researcher is producing new knowledge. For example, robots can help in healthcare, but the technology can also be used with other types of services. But it is not always easy to work with issues related to visual intelligence and intelligent computers. Sometimes the research is met with criticism and skepticism – or fear. Josef Bigun, on the other hand, argues that a future with visually intelligent robots is a bright future. 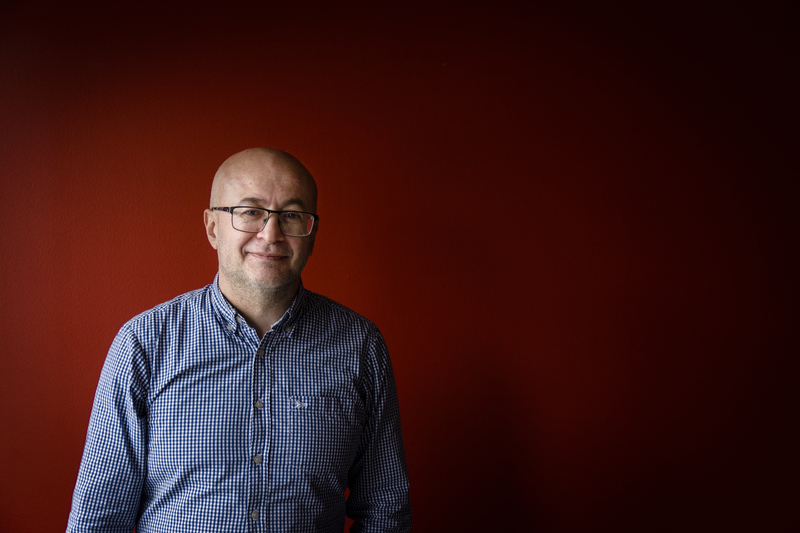 The best thing about working as a researcher is producing new knowledge, Josef Bigun thinks; and it’s something he can always do working in the research group CAISR. “We are constantly developing new knowledge. It’s difficult to point to something that was particularly important in 2017. However, 2017 was better than all previous years because we are constantly building on our knowledge – it’s like an artist who keeps working on a piece of art”, he says. The text was originally written for CAISR annual report 2017.